If you are new into blogging, you will observe that it takes quite a lot of time for your articles to be be heard, seen and even read by others right? 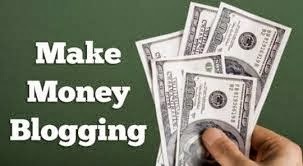 It is a nice idea to be a great blogger but a difficult task has to be undertaken in other to propel that success to the top.Everyone who ventures into blogging sees "making money online via google adsense," as the major priority. Though we have begin to see some facts and some fallacies why these should not be the major priority of those who wish to earn a career in blogging. I guess i have been hammering so much on blogging, right from the ways to drive massive traffic to your blog, and the 7 things you should consider before starting a blog. There are so many persons who would love to venture into blogging but may have not understood the clear definition of "What blogging is." Blogging carves different definition to different persons. Some define blogging as a medium of passing their thoughts, mind via the use of a web page, while others regard blogging as a form of an online journalism. I see blogging as a form of online journalism where a writer or a person carves a space on the web to express his/her thoughts, feeling, and idea concerning a certain topic in other words called a niche. Blogging can be fun and it can be boring too. It gets sweeter when you blog from the depth of your heart and gets bored when you blog from the greed of your pocket. Online journalism can fetch you a whole lots of money in the future. We have had cases of different persons who have become internet billionaires via blogging their way to the top. It is quite interesting to see such experiences. You will agree with me that majority of those who venture into blogging do so as a result of the popular advertising media "Google Adsense," right? Like i said earlier on, millions of blogs are built on weekly basis but only few hundreds are maintained. From my past experience as a blogger, there are several ways one can make money from blogging and these ways could be by displaying relevant ads from advertising medias like: Google Adsense, Chikita, media.net, affiliate marketing and a whole lot of the them. Some other ways may include: accepting of Sponsored post, selling of advert space, reviewing of products and off blogging could be: fiverr, and some referal programs. Like i said earlier on, blogging could be good only if it comes from the inside. It is an act of personal journalism and not every one can survive blogging if not taken as a passion first. A whole lot of experience have i got to say about this. You may not make money blogging even after 3 years of practically updating and publishing more articles. For you to be on the top, you need to start from the bottom. That is the fastest way upwards. One major truth about blogging that you may not know is that you can actually make huge income from your blog if you actually put in more unique articles in it. Get to work first and you will see the blessings of money fall on you. Do not let anyone deceive you that you can make millions of cash of blogging within 4 days. That is a proven lie. I hear that a lot. If you don't work then you can't become successful. Blogging your way to success lies in you and you alone can actually make that cash you have always wanted via the implementation of determination, research and other bridges that will cement your way to the top. When you blog with a goal to educate, you get an educational reward. If you blog with an intention to rob others, you may get robbed by others. Blogging is a thing for the passionate. It can actually become a company you know. This is one of the reasons i set up loadedvilla.com. Like i said earlier on, if you read up my blog on daily basis, you will get a lot of ideas and tips to out into your blogging career. Will be glad to hear from you, see you at the other end. The comment box is open for discussion. Nice blog really helpful for all who are looking for some ideas to earn money online ...I am here to share my experience about how do i earned money online by doing reseller business .Reseller is nothing but selling products or services of others by fixing high rate and earning money by getting commission from them . To do this business we need to have a reseller account ...I got this account from the vendor Goresellers.com here they are providing two packages basic and pro reseller plan you can sign in one among them ...Once you signed in for account they will provide you with everything we need: products, support, even a professional web site.Our site comes online once we signed up .The process begin with select the products,set retailing prices for those products ,finally customize out website as we wish .We don't need to handle any billing or customer support all are in the hands of the dealer who render us the account .After selling those products they will return back the commission amount to us..I am earning enough money by this method.